Deer Valley Resort is offering guests an impressive lineup of tailor-made lodging packages, providing unbeatable access throughout the 2014-2015 winter ski season to one of North America’s preeminent ski resorts. With Deer Valley Resort Lodging and Reservationsbeing owned and operated by the resort, guests have access to the largest selection of accommodations with the best service and availability in the Deer Valley area. Rated the #2 Overall Best Ski Resort by the readers of SKI Magazine and the United States’ Best Ski Resort by the 2014 World Ski Awards, Deer Valley Resort ushers in the winter season with deals such as a Stay Longer, Save More promotion, Early Value packages, Family Value packages, Dining and Spa specials, Spring Skiing deals and Sundance Film Festival promotions. “The resort earning such esteemed accolades, as voted on by our guests and peers, gives our guests full confidence that they will receive the utmost level of service and personalized attention by local vacation planning experts,” said Dirk Beal, Deer Valley Resort’s director of sales. The winter season specials and packages offered exclusively by Deer Valley Resort Lodging and Reservations are included below. Guests can visit deervalley.com or inquire with one of the resort’s vacation planners at 800-558-3337 or 435-645-6528 for further package details or to customize a Deer Valley Resort ski vacation. Kids ski FREE and save 20% on lodging, lift tickets and kids’ ski rentals. With family friendly amenities, including an outdoor pool and hot tub, free hot breakfast buffet, on-site Deer Valley ski rental shop and complimentary in-town shuttle all within close proximity to Snow Park Lodge and ski school, the Lodges at Deer Valley and Silver Baron Lodge are the perfect choice for families vacationing at Deer Valley Resort. Package is valid January 4 – 21, January 27 – February 12, and March 29 – April 12, 2015. Receive up to two complimentary child lift tickets per day and two Deer Valley ski rental discount vouchers for children 12 and under. The purchase of four adult lift tickets is also required. December 6 – 11, 2014, and April 5 – 12, 2015. A minimum of four lift tickets total must be purchased with this package. Minimum night stay is required and varies by property. January 4 – February 12, 2015. A minimum of four lift tickets total must be purchased with this package. Minimum night stay is required and varies by property. Enjoy Deer Valley Resort’s award-winning cuisine, luxury accommodations, renowned skiing and service along with a 20% savings on lodging and lift tickets at participating properties. The package includes a $50 dining certificate valid at any of Deer Valley Resort’s owned and operated evening restaurants, plus $100 in Zante Spa & Wellness dollars to be used toward a treatment of your choice. Package is valid January 4 – February 12, 2015. A minimum of four lift tickets total must be purchased with this package. Minimum night stay is required and varies by property. 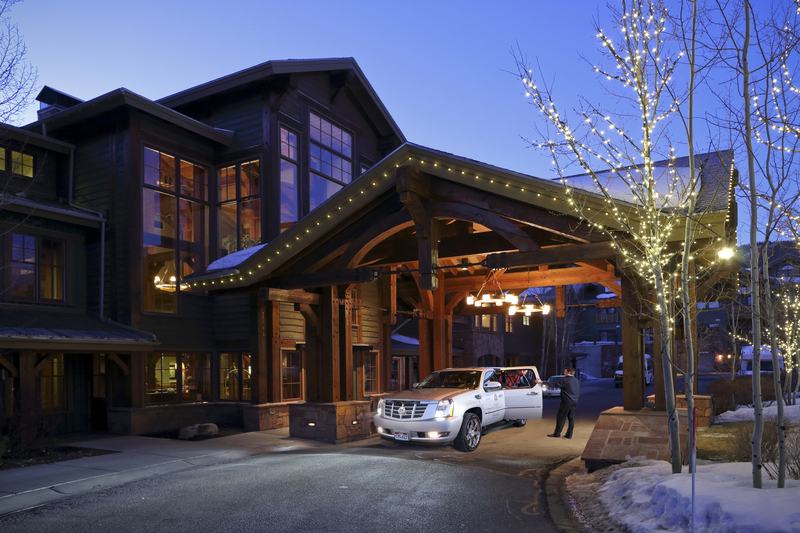 The Sundance Film Festival is a great time to experience Deer Valley Resort! Reserve three nights lodging and receive the fourth night free at select properties, valid January 27-February 1, 2015. Minimum night stay is required and varies by property. This offer is not offered at Black Diamond Lodge. Save 15% on lodging and lift tickets when you book your Deer Valley Resort spring ski vacation. Package is validFebruary 22 – March 12, 2015. A minimum of four lift tickets total must be purchased with this package. Minimum night stay is required and varies by property. This package is not offered at Black Diamond Lodge. Spring is a great time to enjoy skiing at Deer Valley Resort and even better with 20% savings on lodging and lift tickets. Package is valid from March 29 – April 4, 2015. A minimum of four lift tickets total must be purchased with this package. Minimum night stay is required and varies by property. Receive free nights lodging the longer you stay at Deer Valley Resort. Purchase six nights and receive one night free, purchase eight through 10 nights and receive two nights free, purchase 11 through 13 nights and receive three nights free, stay 14 nights or more and receive four nights free. The stay six nights and receive one night free option is not valid December 26, 2014 – January 2, 2015, February 13 – 21, and March 13 – 28, 2015. The following apply to all packages: at time of booking, offers are based on availability at select properties, on new reservations only and packages cannot be combined; tax and service fees not included. Purchase of daily adult lift tickets is, at times, required to obtain lodging discounts; end dates are checkout dates. Please speak with a Reservation Vacation Planner to clarify all package details. Visit deervalley.com for additional packages or promotions. For a complete list of Deer Valley Resort’s 2014-2015 winter packages, rates and restrictions, please view the Deer Valley Resort Lodging & Reservations website.